If you're looking to play with a fun, experimental character in Apex Legends, then look no further than Wraith. 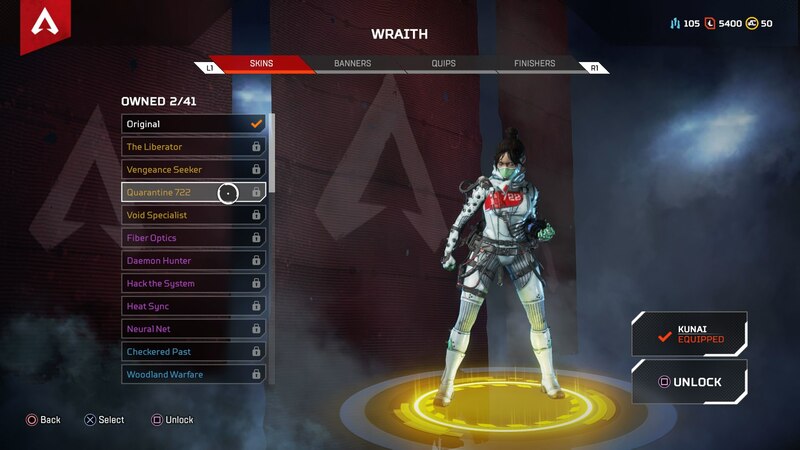 In our complete Apex Legends Wraith guide, we'll be putting together a complete guide on the character, including her backstory, abilities, legendary skins, and more. 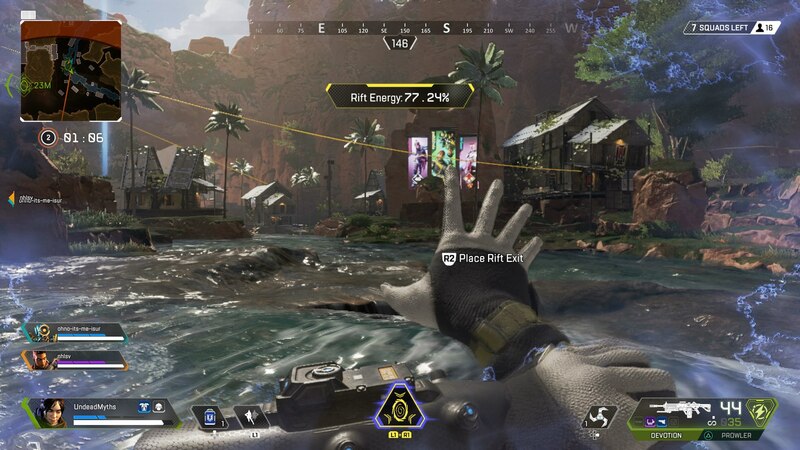 But if you instead need any additional information on Respawn's smash hit battle royale game, you can head over to our complete Apex Legends tips page. It's here that you can find not only a complete list of essential tips and tricks for all players, but also an index listing of all our individual guides on the game. Wraith's backstory is something of a mystery. Years ago, she woke up in an IMC detention center for the mentally ill, with no memory of who she is, or how she came to be in the facility undergoing experiments. Wraith has now set out on a journey to reclaim her past life. There are supposedly old research facilities buried beneath the Apex Games arena, and it's here that Wraith might finally find some answers about her past. 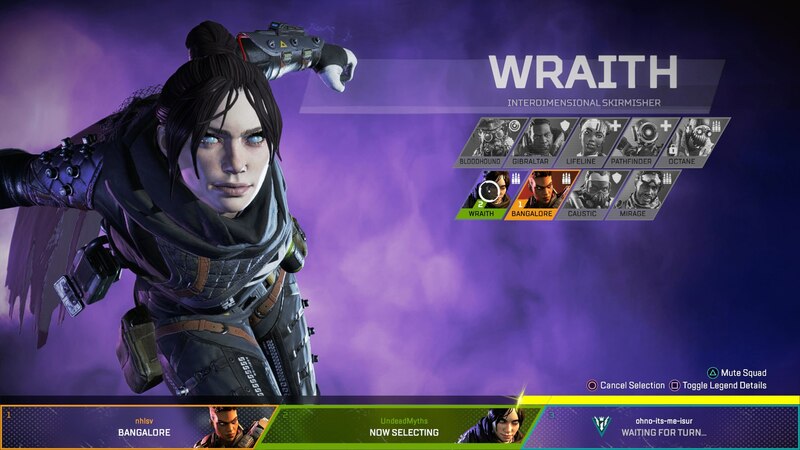 As with every hero character in Apex Legends, Wraith has three unique abilities. All three of her abilities center around her hearing voices as a result of past experiments, and being able to phase in and out of existence. Voices From the Void (Passive) - This passive ability alerts you to nearby danger, such as whenever an enemy player approaches your position. Into the Void (Tactical) - Quickly phase out of existence for a few seconds, allowing you to avoid all incoming damage and reposition to get the drop on enemies. Dimensional Rift (Ultimate) - Link two nearby locations with portals, allowing you and your team to travel between the two locations as many times as you want, for 60 seconds. 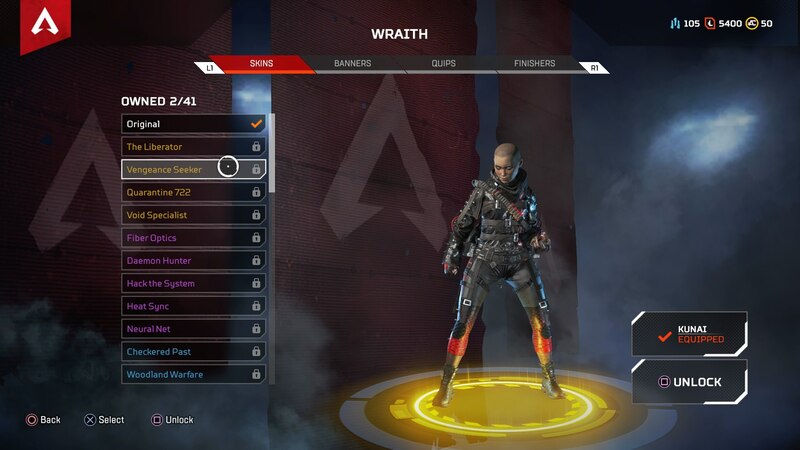 As far as dedicated support characters go in Apex Legends, Wraith is one of the best there is. Her abilities are focused mainly on movement, and so she's ultimately one of the more rapid characters available in the game. You should definitely be looking to save the Into the Void tactical ability for as soon as the shooting starts. Whether you're being shot at or shooting at an enemy team, you can use the tactical ability to rapidly reposition yourself, either on the flank of or behind the enemy team, and easily get the drop on them. Alternatively, the Into the Void ability is excellent for scouting out new areas. 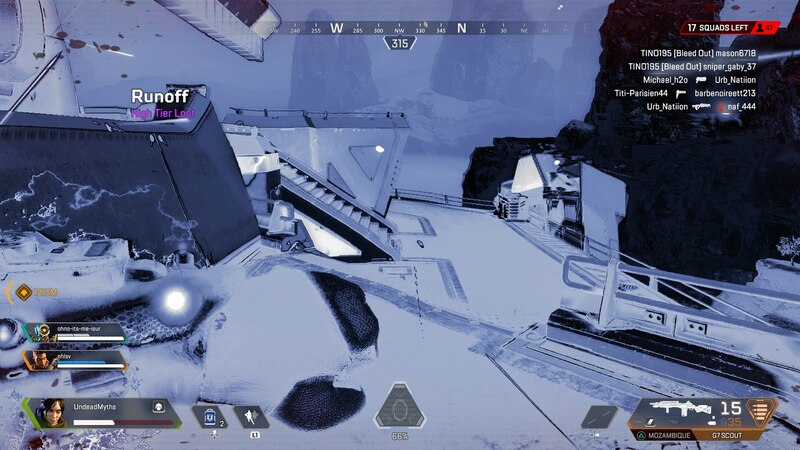 Since you run slightly faster than the rest of your team while in the void, you can scout ahead into new areas while you're invisible, and return to your team rapidly, to relay the positions of any enemy players you've spotted. The Dimensional Rift ultimate ability is extremely useful at getting you and your team out of bad situations very quickly. However, keep in mind that all enemy players can see the locations of both portals, so remember that you might not be quite as safe as you think once you've vanished through the portal, because it's very likely that an enemy team that was previously engaged with you is going to be able to see the exit portal that you've just used. 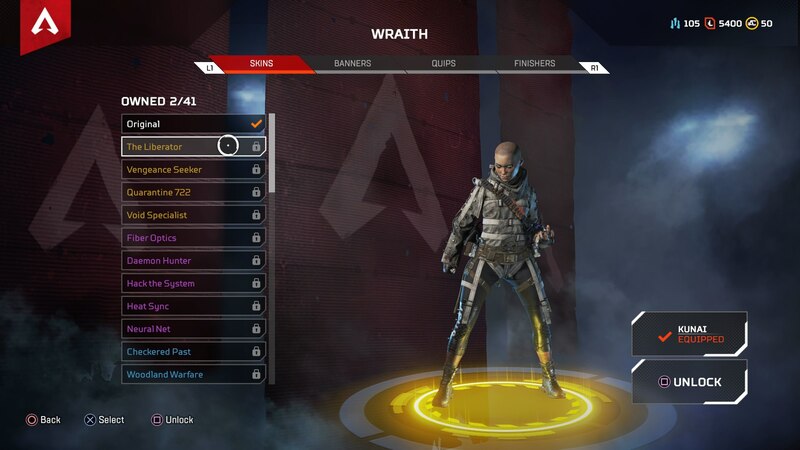 Wraith has four legendary skins in Apex Legends, just like every other character in Apex Legends. You can see the four elite skins below, each of which cost 1,200 crafting materials to unlock. The voice behind Wraith in Apex Legends is that of Shantel VanSanten, who has a pretty storied career on the silver screen. VanSanten has appeared in The Flash, One Tree Hill, and Shooter, to name but a few of the TV series that she's played a role in.